The evidence is irrefutable: In sixteen "New York Times" bestsellers over the course of as many years, Kathy Reichs has proven herself a genius at building suspense (New York "Daily News"). In forensic anthropologist Temperance Brennan, Reichs has created a detective fiction heroine who's brilliant to the bone. Every minute in the morgue with Tempe is golden, says "The New York Times Book Review. "In the acclaimed author's thrilling new novel, Brennan is at the top of her game in a battle of wits against the most monstrous adversary she has ever encountered. Unexpectedly called in to the Charlotte PD's Cold Case Unit, Dr. Temperance Brennan wonders why she's been asked to meet with a homicide cop who's a long way from his own jurisdiction. The shocking answer: Two child murders, separated by thousands of miles, have one thing in common the killer. Years ago, Anique Pomerleau kidnapped and murdered a string of girls in Canada, then narrowly eluded capture. It was a devastating defeat for her pursuers, Brennan and police detective Andrew Ryan. Now, as if summoned from their nightmares, Pomerleau has resurfaced in the United States, linked to victims in Vermont and North Carolina. When another child is snatched, the reign of terror promises to continue unless Brennan can rise to the challenge and make good on her second chance to stop a psychopath. 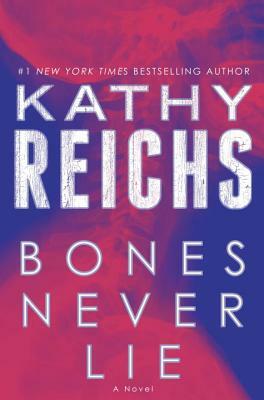 In "Bones Never Lie, " Kathy Reichs never fails to satisfy readers looking for psychological suspense that's more than skin-deep. Reichs, a forensic anthropologist, makes her crime novels intriguingly realistic. " Entertainment Weekly"
Tempe Brennan is the lab lady most likely to dethrone Patricia Cornwell's Kay Scarpetta. " USA Today"
Reichs always delivers a pulse-pounding story. " Publishers Weekly. Kathy Reichs is the author of eighteen"New York Times" bestselling novels featuring forensic anthropologist Temperance Brennan. Like her protagonist, Reichs is a forensic anthropologist one of fewer than one hundred ever certified by the American Board of Forensic Anthropology. A professor in the department of anthropology at the University of North Carolina at Charlotte, she is the former vice president of the American Academy of Forensic Sciences and serves on the National Police Services Advisory Council in Canada. Reichs s own life, as much as her novels, is the basis for the TV show "Bones, " one of the longest-running series in the history of the Fox network."